Faith A. Ullmann & Associates, LLC is a law firm specializing in all areas of Family Law and Family Mediation. Faith A. Ullmann and Michelle L. Olenick are highly experienced divorce litigators. Faith A. Ullmann and Michelle L. Olenick are Certified family mediators. Anyone who has been through a divorce knows that finding the right divorce lawyer or family mediator is critical to the outcome of their case and the client's satisfaction with their case. Faith and Michelle and their staff are committed to working with their clients, as a team, to determine the best course action for their clients' needs. Whether that means negotiation and settlement between attorneys and clients, aggressive litigation, or utilizing the mediation process to reach an amicable and expedited settlement, they will assist their client's in reaching a resolution that addresses their clients' particular needs. Divorce actions, custody disputes, and other family matters, can be highly emotional and stressful. 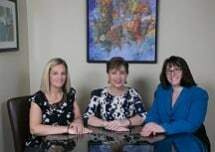 The attorneys at Faith A. Ullmann & Associates LLC, are committed to helping their clients through this stressful time in a professional and compassionate fashion. We will educate our clients throughout the litigation, negotiation and/or mediation process. We strive to insulate the parties and children from the adversarial process and to assist people in rebuilding their lives. The attorneys at Faith A. Ullmann & Associates, LLC practice in Sussex, Morris, Warren, Passaic and the other surrounding counties.